At Royal Bay, we understand that the terminology encountered when searching for care homes can often be confusing. Here, we provide definitions of some of the most common terms used in placements, to ensure an easier, swifter, more knowledgeable search process. A ‘Rest Home’ or ‘Residential Care Home’, is now simply referred to as a ‘Care Home’. The level of care provided in a ‘Care Home’ is supervisory care with personal attention. For higher dependency clients, nursing care may be required. This is predominantly the same as residential care but with nursing interventions being provided by a professional nurse under the supervision of a G.P. or Hospital Consultant. Previously these home were called ‘Nursing Homes’, but are now called ‘Care Homes with Nursing’. Care fees are either paid by the local authority, privately or through the NHS continuing health care funding. The issue of local authority versus private funding is defined by the amount of capital available. From April 2013 the proposed level is £23,250. For a Local Authority supported placement the client would need to be below this level, with the full support becoming available below £14,250. For private clients needing nursing then there is an entitlement of £155.00 per week (April 2017), called the Funded Nursing Care (FNC) Contribution. This is given to the client by the CCG (formerly known as PCT) to help with their fees. Continuing health care (CHC) funding is met entirely by the NHS and the fees are paid direct to the care home. If Social Services complete a ‘Financial Assessment’ and find that the client has less than the financial limit stated, then they would decide which ‘Level’ they can afford to support. The level differs with degrees of care dependency i.e. low levels have low fees and higher levels have incresasing fees. Under the ‘Level’ system, when judging whether a possible placement can be made, it is important to establish that the receiving home has a fee framework that can accommodate Social Servies flat fee funding. If there is a gap between the fee required by the home and fee offered by Social Services, then a ‘Top up’ would be required, with the payment responsibility by a third party. Your Royal Bay Manager can give further advice regarding this and the options available. For a more comprehensive guide to care, please visit: www.independentage.org and click on ‘Advice’. 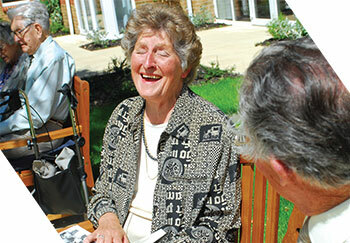 This provides a range of guides and factsheets including helping to understand the process of moving into a care home. A fundamental principle of the Community Care act was to establish ‘client choice’. There may be a number of homes available to provide the level of service that is required and the final choice of care home MUST be made by the client or the client’s representative. The client or client’s representative should not be forced, coerced or have undue pressure placed on them by Care Manager, to accept any other home than the one that they have chosen. Not all homes are the same. 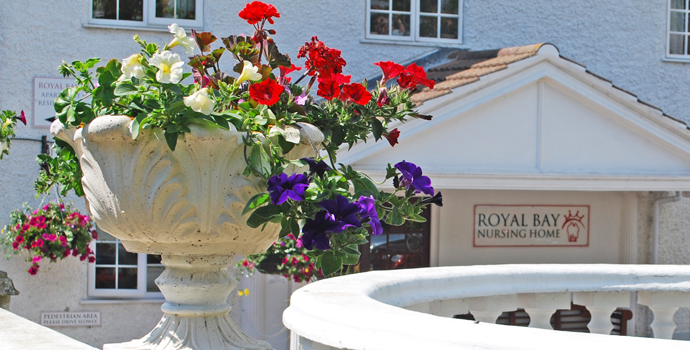 A Royal Bay Care Home is nor mally the first choice of any person making a placement. For further information and advice, please speak to the Home Manager and/or ask to be referred to Jason Coleman, an independent specialist care fees advisor, with no obligation.